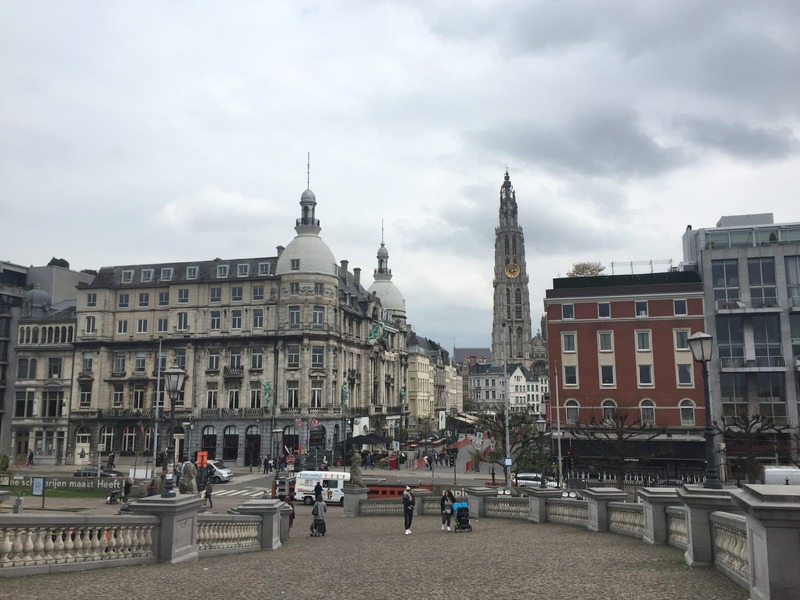 Antwerp can be easily reached from Amsterdam via Flixbus. You can get cheap bus tickets there under €10 if you booked your tickets early! Legend says that tickets could be sold at €1 as well =P It was merely a 2.5 hours bus ride, from Amsterdam Sloterdijk to Antwerp Central Station. 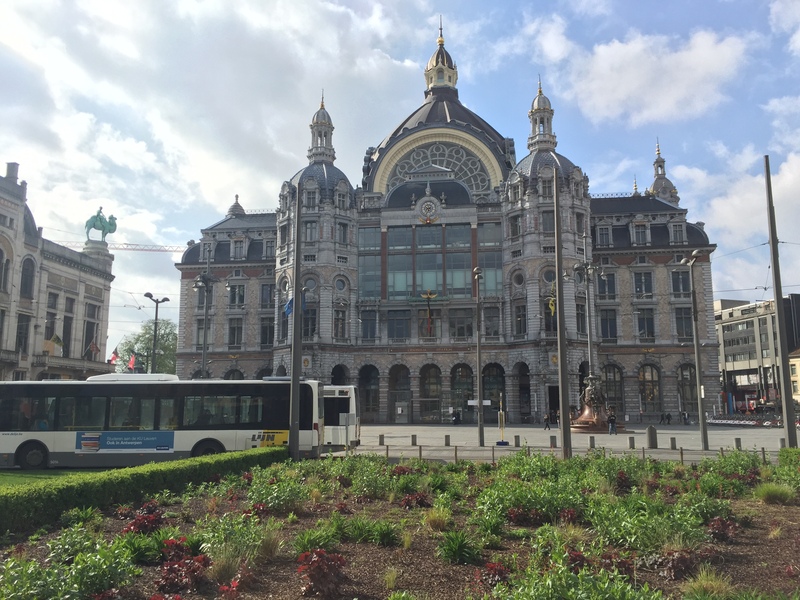 First impression of Antwerp Central Station – GRAND! 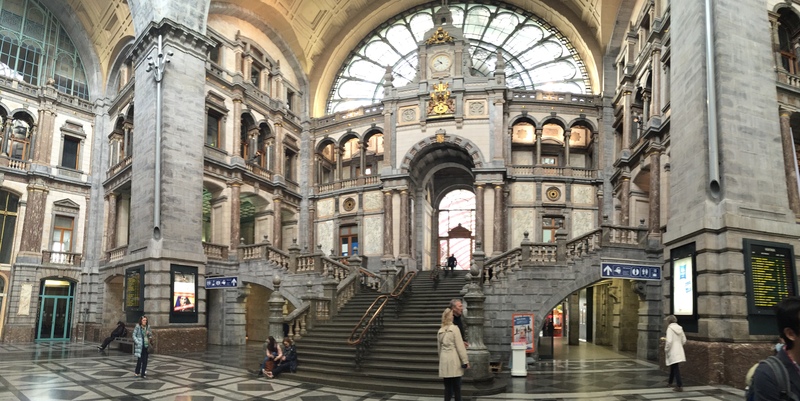 2nd impression of Antwerp Central Station when we enter – GRANDER! I guess the first area of interest for Antwerp is its central station. Both the interior and exterior look really grand, and you can see tourists taking pictures. It feels like you have entered a palace of some sorts! The central station is located right next to the zoo; I did not visit the zoo, so I cannot comment on it.. It takes 15-20 minutes to walk from the station to city centre, marked by the Grand Bazaar, a shopping mall with retail and food outlets. It took us a long time to walk and decide on what to eat for lunch, but when we finally did, we were satisfied with the food 🙂 I recommend this restaurant called De Zon, and do try their famous Flemish stew! 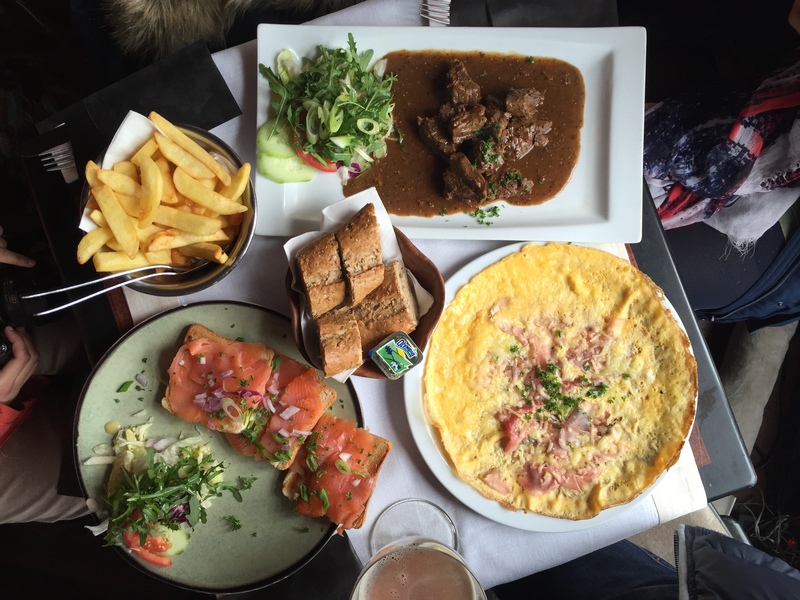 For €10, four of us shared three dishes: flemish stew with salad and fries, ham and cheese omelette, and smoked salmon sandwich. Beer not included! We’re in Belgium! And this country is known for its waffles and fries, right? So we thought, and we were eager to try their waffles and fries. But do note that there are many shops selling waffles and fries and not all of them are good! 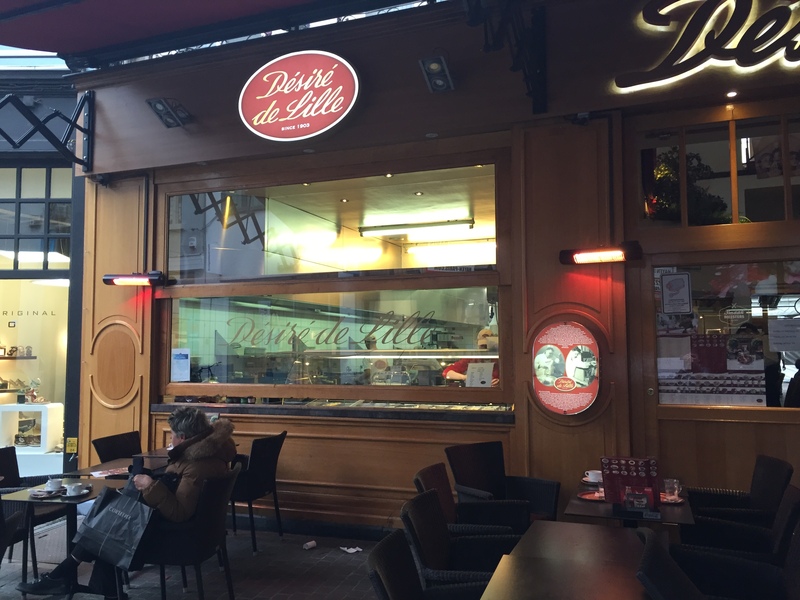 Desire De Lile was recommended as one of the teahouses to visit for good pastries and desserts. I must say, however, that I am disappointed by their desserts! You can read more about my food recommendations in my previous post on the cafes and waffles in Belgium. When in Antwerp, do visit the Het Steen and the Cathedral of Our Lady. I like the Het Steen as the old castle, which was previously the Maritime Museum, is now a place for children 6 to 12 years old, where they can attend workshops in their free time, with or without their parents. These workshops allow children to have hands-on activities across different disciplines such as science, art, and philosophy. 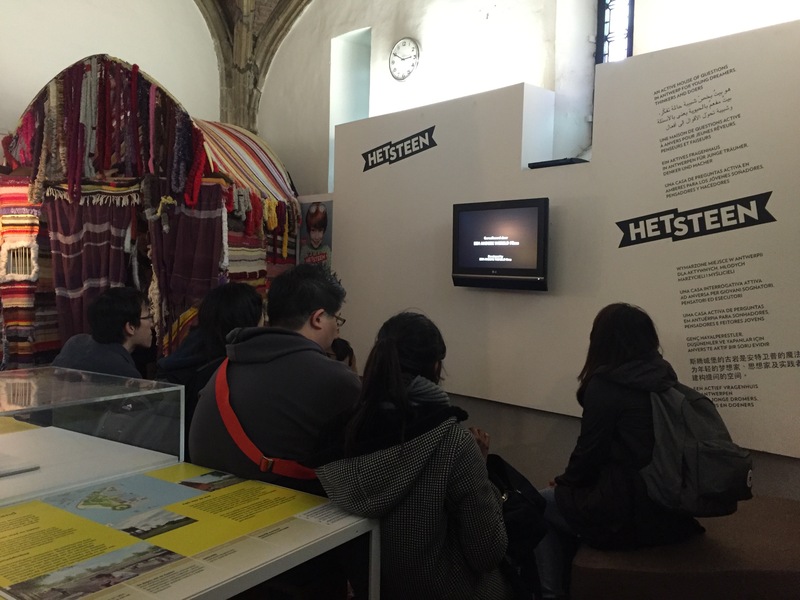 Full attention on a documentary that tells us about Het Steen. 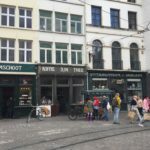 We arrived in Ghent at the Gent-St-Pieters station, and realized that it would be wiser to alight at Gent-Dampoort because the city centre is much nearer to that station than Gent-St-Pieters. 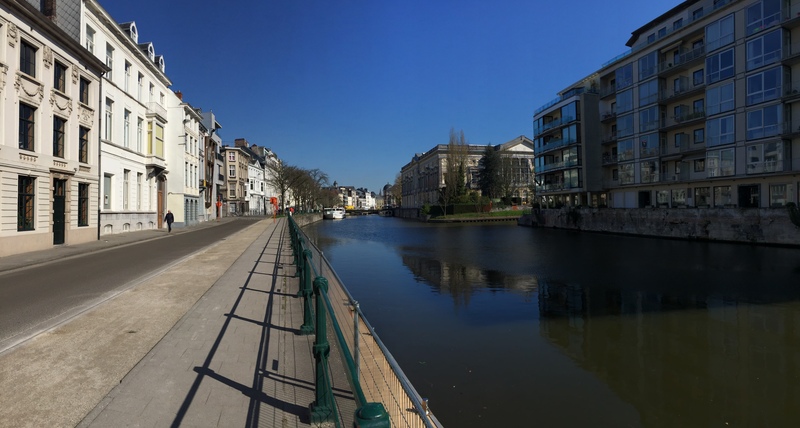 The walk from Gent-St-Pieters to the city centre (marked by Gravensteen) was about 35 – 40 minutes. 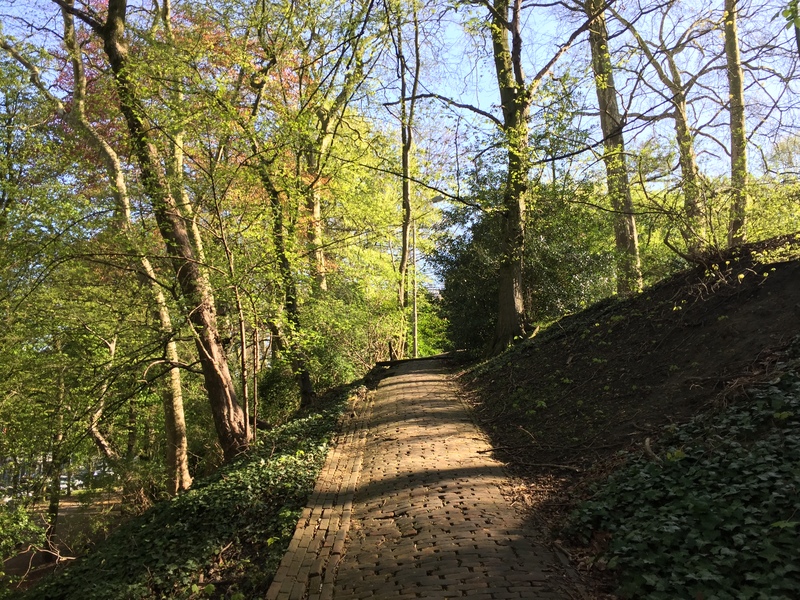 The route was scenic, as we walked along canals and residential areas. 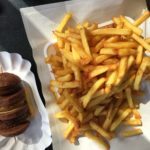 Our first stop was to look for food – after some walking for about an hour, we settled for Tasty World, a cafe that serves veggie burgers and fresh smoothies. I really enjoyed my mushroom burger with generous servings of carrots and beetroot. 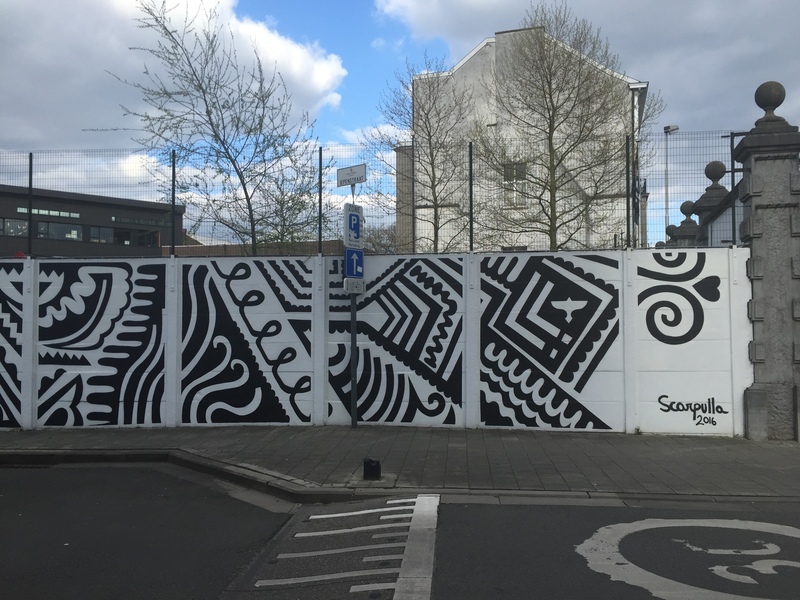 Ghent is a very hippie city, as evidenced by having a dedicated graffiti street where you can buy spray cans and add colours to the already-colourful walls. Unfortunately, on the day that we were there, the shops were closed. 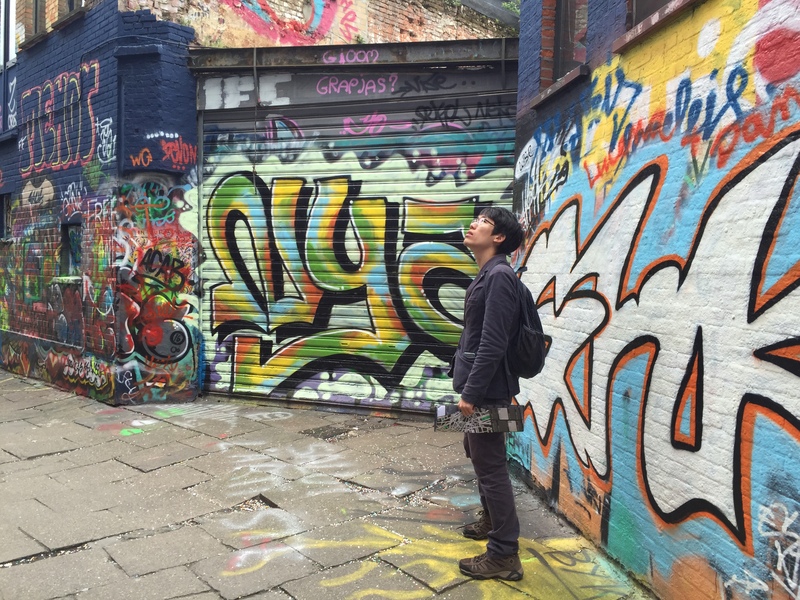 Werregaren straat – where all the graffiti art exists. My friend, looking lost haha. 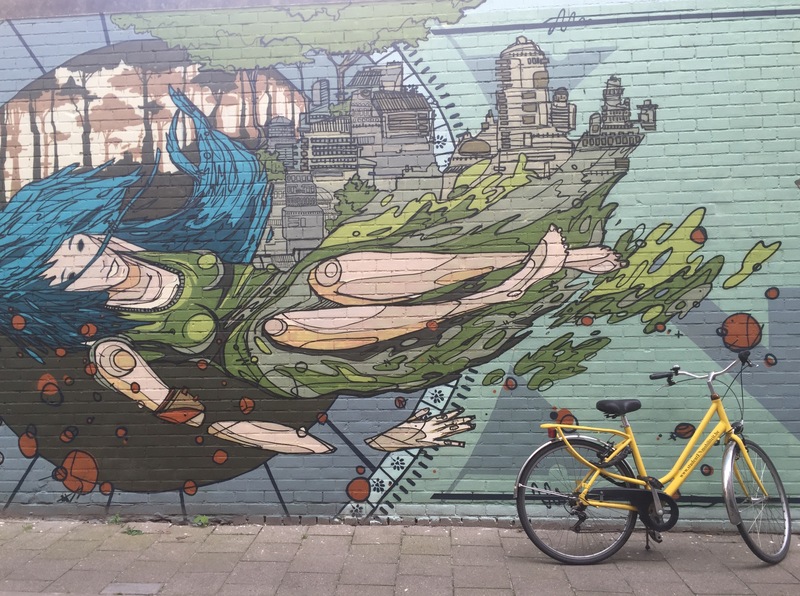 Other street arts can be found in different pockets around the city. 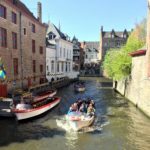 When in Ghent, do visit Gravensteen, a preserved 10th-century moated castle. It costs €8 to enter, and you get to explore a well-preserved castle with breaktaking views when you reach the top of the castle outside! 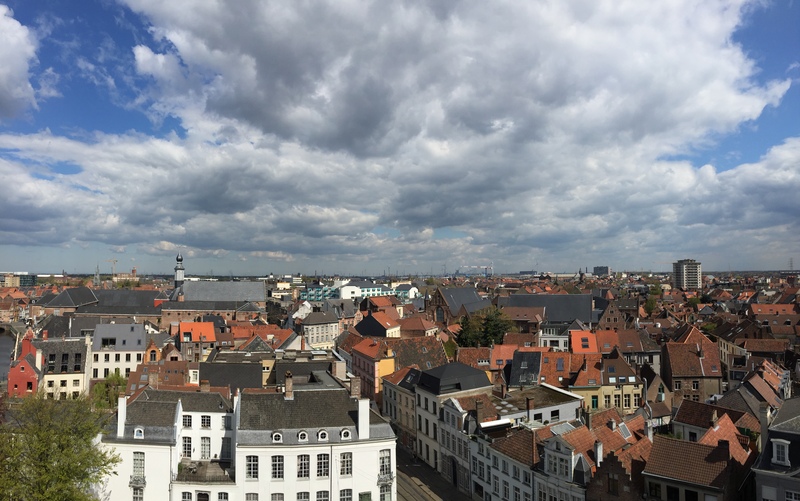 View of Ghent at the top of the castle! Do try the cuberdon, a Belgian sweet treat, when you are in Belgium! Sold here in the street side food trucks! 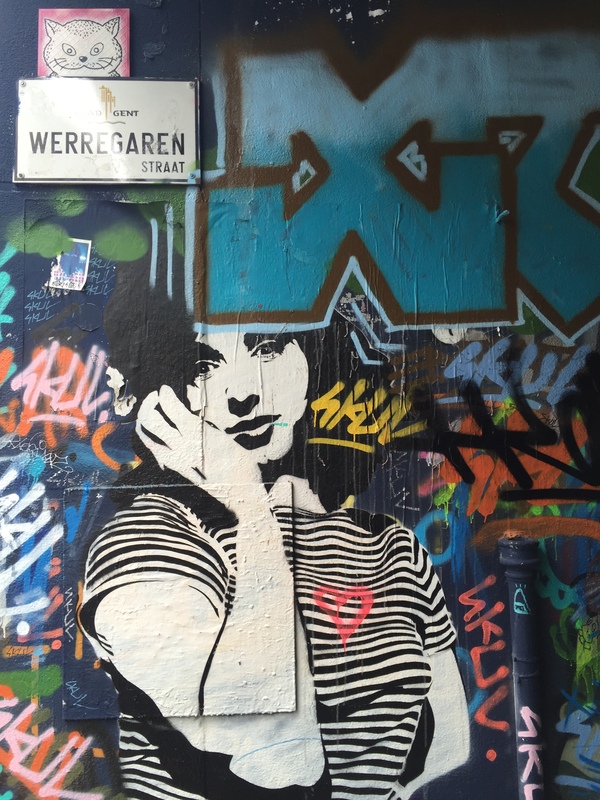 Nevertheless, these are the things I did in Antwerp and Ghent that are worth mentioning. 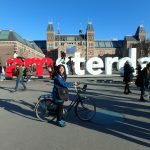 You are definitely recommended to pack more activities in the day to make the most of your trip in these cities! Beautiful pictures! I cant wait to visit. What did you think of Het Steen?